Although the stars of the 2015 SEMA Show for Chevrolet will be in the vehicles themselves, it’s the 2016 Chevrolet Performance catalog that will beckon consumers to outfit their bowtie-branded vehicle with the latest accessories and performance pieces. 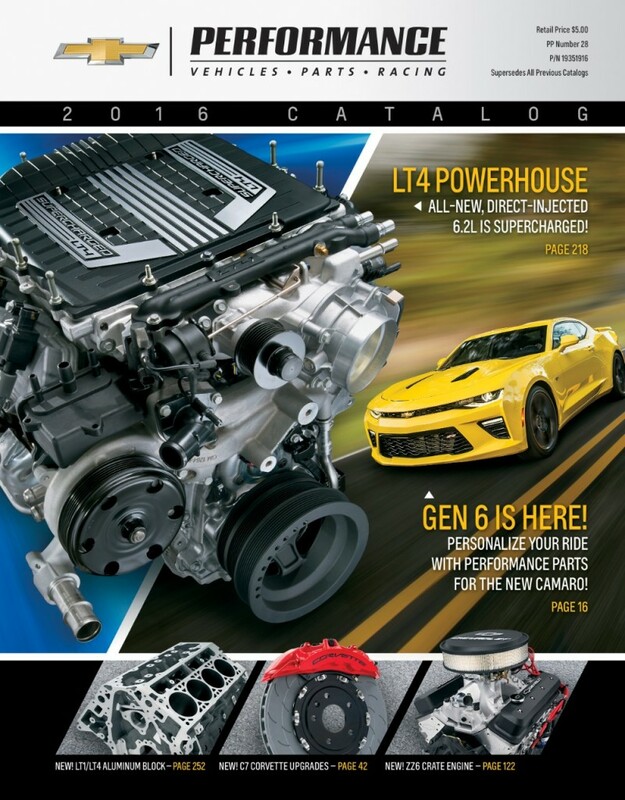 The 2016 Chevrolet Performance catalog features the latest in the brand’s engineered and tested accessories and parts for cars, trucks and SUVs. Also included are new crate engines, transmission kits and anything the hot rod builder desires. Additional parts for the Silverado, Colorado, Cruze and Sonic. The entire list of new parts will be on display at the 2015 SEMA Show, but enthusiasts can head to the link here to see the catalog in its entirety.